When you first set up your Android mobile phone, it is mandatory to provide a Google account. The account is required to access Google Play Store and Google Play Services, the background processes and various apps. Some people call Google account as Gmail account for the simple reason that Gmail is the most used Google service, apart from the search engine, of course! So, for the sake of familiarity, we will refer Google account as Gmail account from now on in this article. Your search queries and app preferences are saved in your Gmail account. 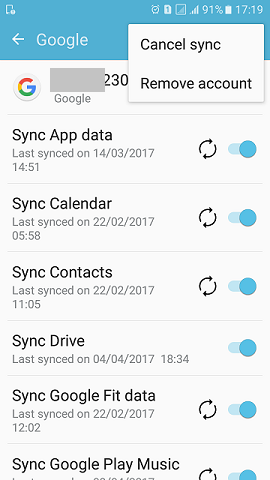 Thus you can use the same preferences on all your Android devices. If you change your preferences on one device, it automatically changes on the other devices as well. However, you can always change the primary or the default Gmail account on your mobile phone. Most folks advise that on an Android device, one should have only one Gmail account. However, about a year ago, I changed my primary email to Yahoo! mail on one of my mobile phones and did not face any problems so far. I am not advising you to switch your primary Gmail account to Yahoo! mail, but, if you do change, do so at your own discretion. This article lists methods to change your primary or default Gmail account. What is a Primary Gmail Account? The primary Google account is used for the Google Now card, voice commands, and all the searches performed with Google. All the searches go through the main account and may pose a privacy issue in some cases. For example, you may end up compromising on your privacy if you perform a personal search using your official account. Switching accounts is not advisable as it could lead to the malfunctioning of Google Now. To avoid functional and privacy issues, it is sometimes good to replace the primary account. The change may delete data and contacts that belong to the out-going primary account. So, do backup all your contacts and other data. If you are about to replace your primary Gmail account with a different email service like Yahoo!, Hotmail, Rediffmail etc., do so at your own discretion. To make any account the default primary account ensure that it is the first account listed under Settings > Accounts > Google. If you have multiple Gmail accounts registered on your Android mobile phone, and you do not want the first account listed as the primary account, delete it and add the next account on the list to make it the primary account. However, if you want to replace the primary account with a new account, you will have to delete the existing primary Gmail account and add a new account. Let us see the methods to change the primary Gmail account. The option and menu names may differ on different Android devices. Go to Settings > Accounts > Google and tap the More option and select Remove account. When prompted to confirm the account removal, tap Remove Account. After removing the account, return to Account Settings screen and click Add Account. Select Google or any other email that you wish add. The new account added becomes the primary email account for your Android device. Here is another method to change the primary Gmail account on your Android device. 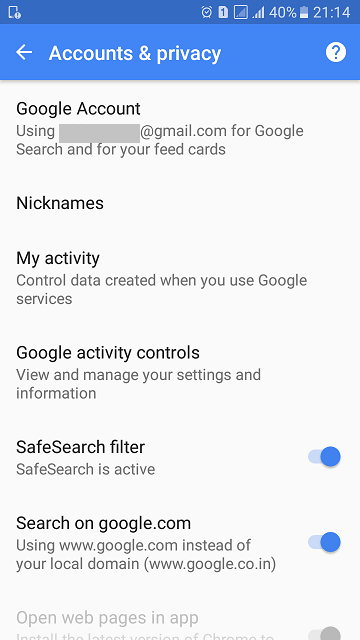 Go to Google settings from within your phone’s Settings or by opening the Google Settings app. Go to Accounts & privacy. Select Google Account > choose the email to replace your current primary account. The selected email becomes the primary email account on the selected Android device. Changing the primary email account on your Android device is simple but be cautious. Do not forget to backup your data and contacts before proceeding. But if I want to load another E-mail account on my mobile (I have 2 gmail accounts) how can I add the other one. You can go to your Gmail app and use the Add Account option.